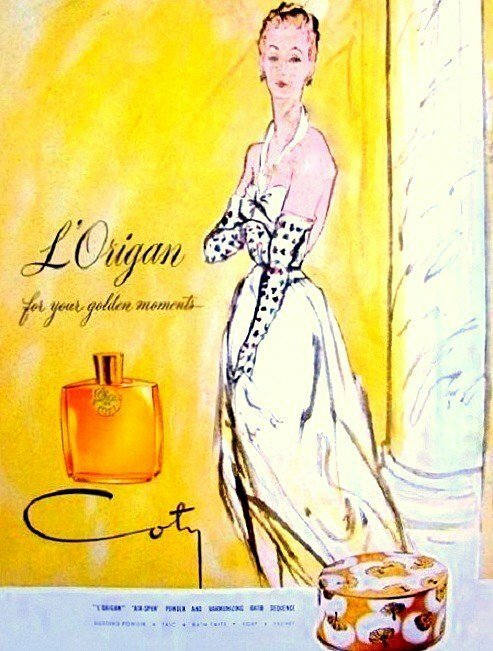 L'Origan (Parfum) is a popular perfume by Coty for women and was released in 1905. The scent is spicy-floral. The longevity is above-average. The production was apparently discontinued. The perfumes tell through its aromas the mankind history and smelling Coty L'Origan i got thinking why there isn't any world heritage rule for historical important fragrances that are truly art works, preventing companies like Coty to cheapen it and, this way, destroying what was beautiful and important. With already 110 years, it's a proof for me that the real luxury and beauty is timeless: it migh look like part of another age, but it still magnificent in its perfect proportions. 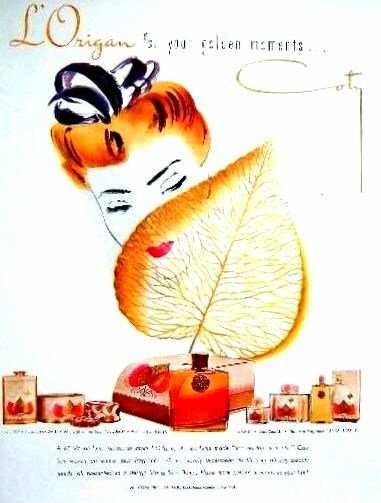 There are histories that relate Coty L'Origan to both L'Heure Blue and Apres L'Ondee, but L'Origan has its own beauty and i question if the three fragrances weren't influenced by the new and fascinating synthetic molecules available to the perfumers at that time: the sweet, purple, iris and violet like aroma of the methyl ionones, the vanillin sweetness,the almondy, cherry-like smell of heliotropin and coumarin, the sober woodiness of vetiveryl acetate and the animalic essence substitutes like civet and nitromusks. 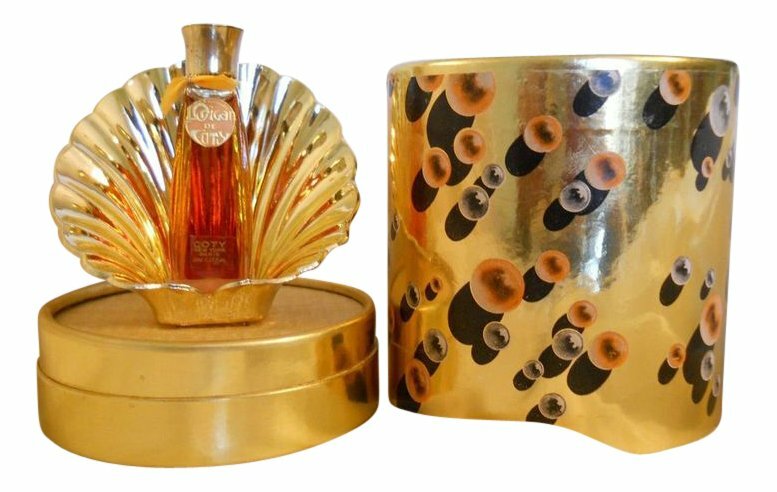 From those, you can see that the heliotropin has an important role on L'Origan, which approximate it from Apres L'Ondee.Still, the execution here is far from the delicate and impressionist style of this major work from Guerlain, being close to L'Heure Bleu for the intensity and the main role that orange flower and clove has on both fragrances. 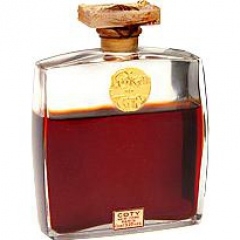 Further, L'Origan distingues itself for having a much intenser spicy and oily clove aura and a secondary use of the bittersweet orange flower aroma that some neroli accords have. Also, the earthiness of L'Heure Bleue is not present here in great evidence, shifting the accord axis into the direction of vanillin and coumarin, with a subtle rose and jasmine touch to give the idea a floral hue.L'Origan base is creamy, of woody nuances and with a musck that complements the slightly sophisticated powdery aura of its idea. 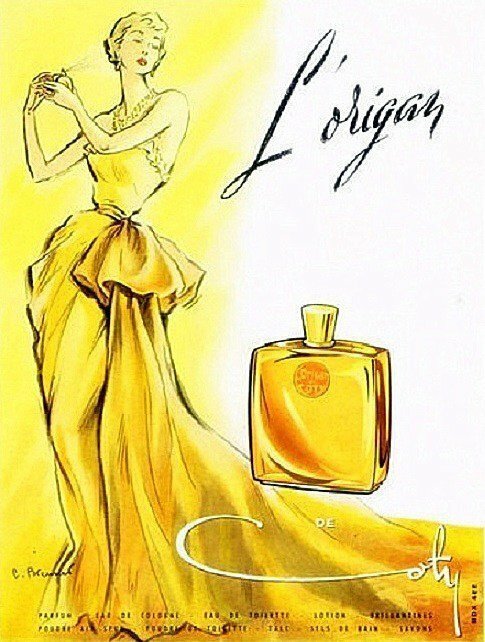 L'Origan is a perfect blend of synthetic and natural essences, an exemple of that both, when used together, produce masterpieces. 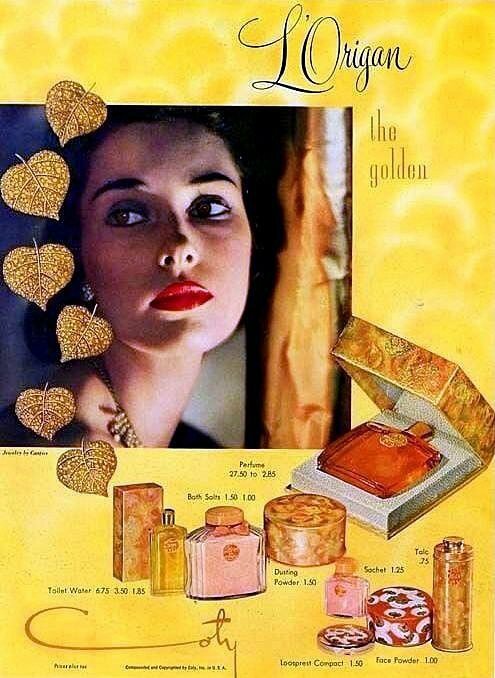 It's simply a wonderful perfume that a fragrance lover should know at least for its historical relevance. A dream of a near oriental, combining civet and musk at their most compelling with to-die-for neroli and orange. Everything else only ups the appeal. It arrived days ago and I've already worn it three times. This is a simple fragrance, but a knockout -- much the way a perfect diamond is simple, too. Just ordered a backup of this groundbreaking classic. 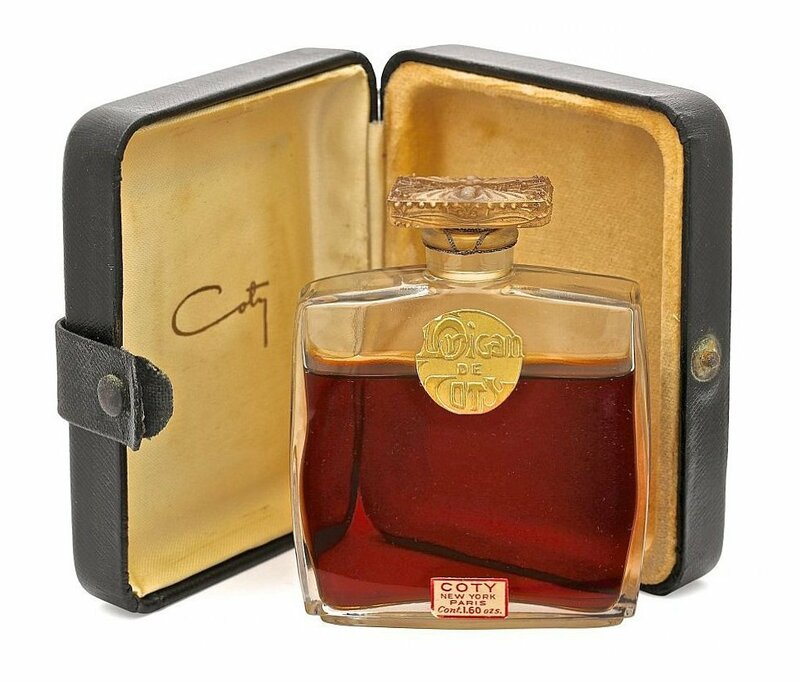 Coty's others are Chypre de Coty, the first modern Chypre; Emeraude, the first modern oriental, preceding Shalimar by 4 years; L'Aimant; La Rose Jacqueminot (which you can't find anywhere, it was his first) and this. 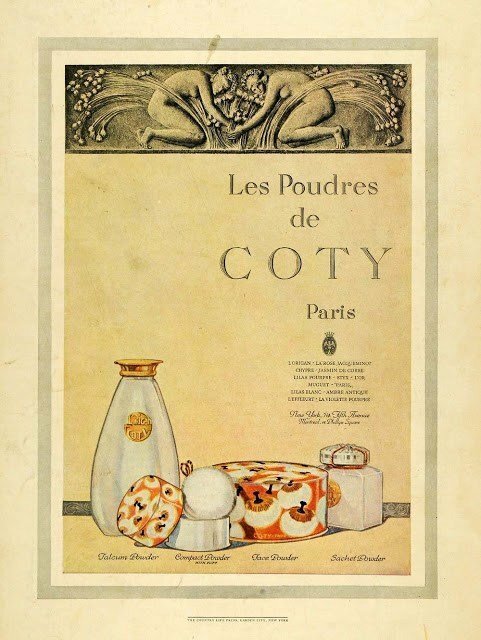 Francois Coty died in 1934, having accomplished many firsts in perfumery. His politics were a bit alarming, but his scents created a mass market for perfume. Now Coty produces other brands, including Balenciaga, Cerruti, Davidoff, Joop! and many other well known names. Apparently, the legends like L'Origan that made the company are made by it no more. Our loss. This vintage sample reeks cinnamon spiciness similar to that of Blue Carnation by Roger and Gallet. L'Origan is an oriental with a floral twist. Deep dark orange makes this a prize in my eyes as the refined sweetness balances the extreme spice without the added boost of sugar. I find this fragrance very aromatic and womanly. I do not detect civet but the ylang and orange work well together to keep this fragrance grounded in a way that the aromatics don't supersede the softer notes. Soft florals follow . Piperolal is a note I am in no way familiar with, but if it is responsible for the hot/pepper sensation, then I look forward to adding it to my list of favorite notes. It eventually dies down to a classic floral but I rather enjoy the initial blast of fire! I like it HOT. 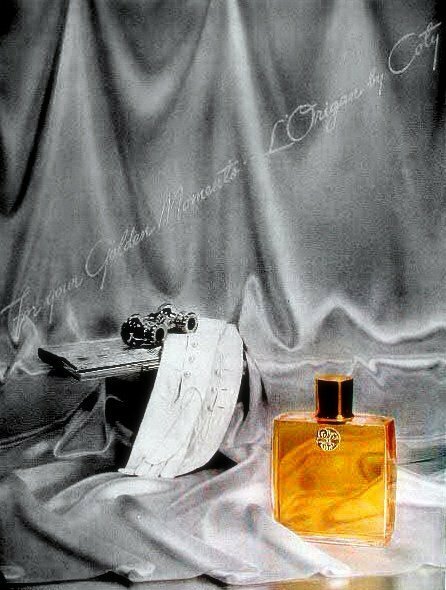 Write the first Review for L'Origan (Parfum)!